The Sephora Disney Minnie Beauty Brush up on Glamour Minnie’s Beauty Tools ($58) is a new, limited edition that launched with the Disney Minnie Mouse Makeup Collection. This is quite a cute set of brushes for both Minnie Mouse, Disney, and makeup addict fans alike however, I was disappointed a little with the quality of the brushes so you might want to read up on my review prior to a purchase. I think it deserves to be mentioned that I’m a huge fan of the Sephora Pro Makeup Brush Collection and I’m also a fan of their brush sets. When the Holidays come around they introduce some very, very good brush sets! Even better than MAC Holiday Brush Sets if you want to really get down to it. Sephora does excel at creating some really great brushes. I think the Sephora Disney Minnie Beauty Brush Up On Glamour Minnie’s Beauty Tools is a little lacking. This set is inspired by Minnie obviously so the brush holder is shaped like her iconic hair bow. 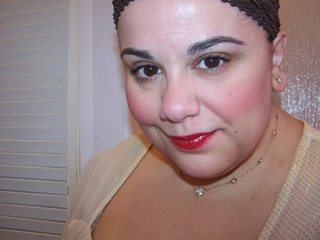 The bow is black with embossed polka dots and a gold outline. It’s not a heavier brush holder like we’ve seen from the Sephora Hello Kitty and Tokidoki Collection. It’s lightweight and relies on a form insert to hold the brush upright. 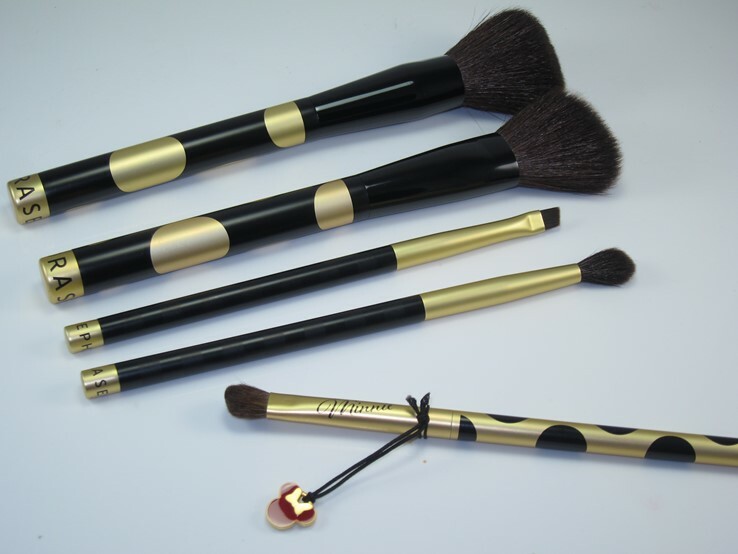 Each of the five brushes have different designs all centered around the black and gold theme they went with for this collection (you can see each design below as I photographed them). The shadow brush has a Minnie ear charm attached to it which can be removed and used as a zipper pull or a cell phone charm should you like. I liked all of the eye brushes! They had soft bristles, sturdy handles, and didn’t have any issues with shedding. However, I was a little disappointed in both of the face brushes. These also had good sturdy handles with no shedding but the bristles were prone to splitting a little right out of the packaging and also felt a bit scratchy. I’m a bit saddened by this because if you’re splurging $58 and end up with two brushes out of five that aren’t all that great, well, it seems a bit of a waste. 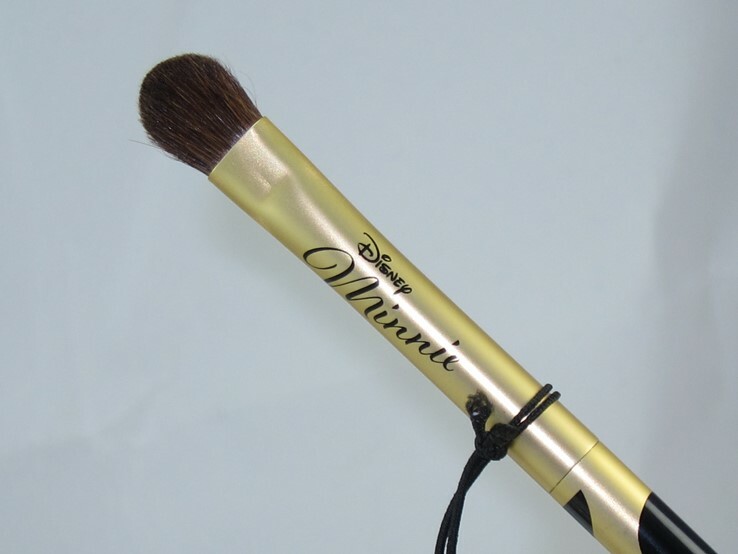 If I were you I’d reserve picking up the Sephora Disney Minnie Beauty Brush Up On Glamour Minnie’s Beauty Tools until it launches in stores. You might want to get a feel of these brushes before a purchase. However, if you are a collector and fear it selling out and don’t actually plan on using the brushes you might want to grab it up now. But for those who have plans on using these brushes as well as having something pretty to hold them in you might want to skip until you can test them in stores as I was a bit disappointed by the set. The Sephora Disney Minnie Beauty Brush Up On Glamour Minnie’s Beauty Tools is available now at Sephora.com and launches soon in stores.